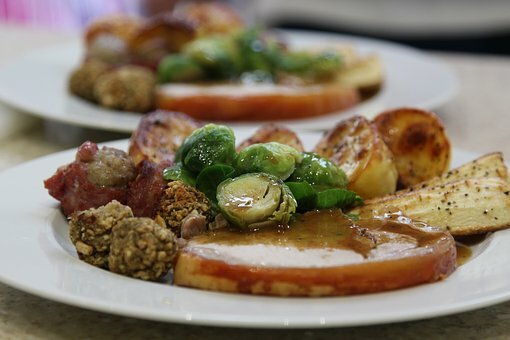 Farmers battled hard to bring Christmas dinner to our tables this year, due to the heatwave’s effect on crops and livestock, according to experts at the Royal Agricultural University. The baking summer caused problems for staple foods and festive favourites alike - and climate change predictions suggest Christmas Dinner as we know it will be even tougher to put together in future. Carrots: Carrots grow best at temperatures of 15-18°C but they struggle in temperatures above 25°C, wilt and stop growing. The cold start to the year and then the prolonged heatwave probably lead to a cut in yields of 30 per cent. Brandy butter, custard and ice cream: These dairy-based accompaniments to Christmas pudding can’t be produced without milk. Dairy farmers are facing severe forage shortages after a poor grass growing season, leaving low silage stocks and fodder prices at a record high. But don’t worry about Christmas pudding: Many of the ingredients - mixed dried fruit, nuts and rum - are imported so it looks as if this festive favourite has escaped the extreme UK weather.